Like so many of your photos, this one prompts philosophical reflection—a stairway leading where. 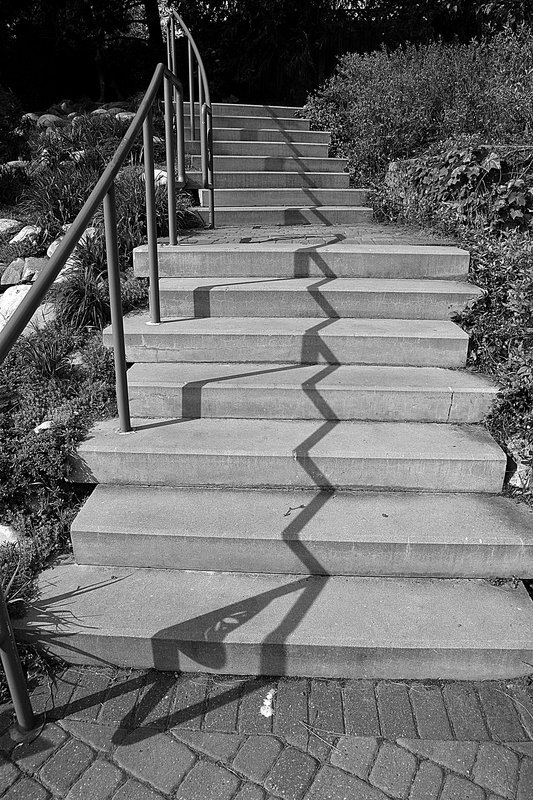 . .
Like so many of your photos, this one prompts reflection—a stairway leading to where. . . Thanks. That public garden is a great spot for chasing shadows! Just me and my shadow! Thanks.